Superdry men's Curtis suede jacket. A classic suede jacket, featuring a zip fastening, two front pockets and popper cuffs. Inside, the jacket is fully lined with a single internal pocket with suede trim. 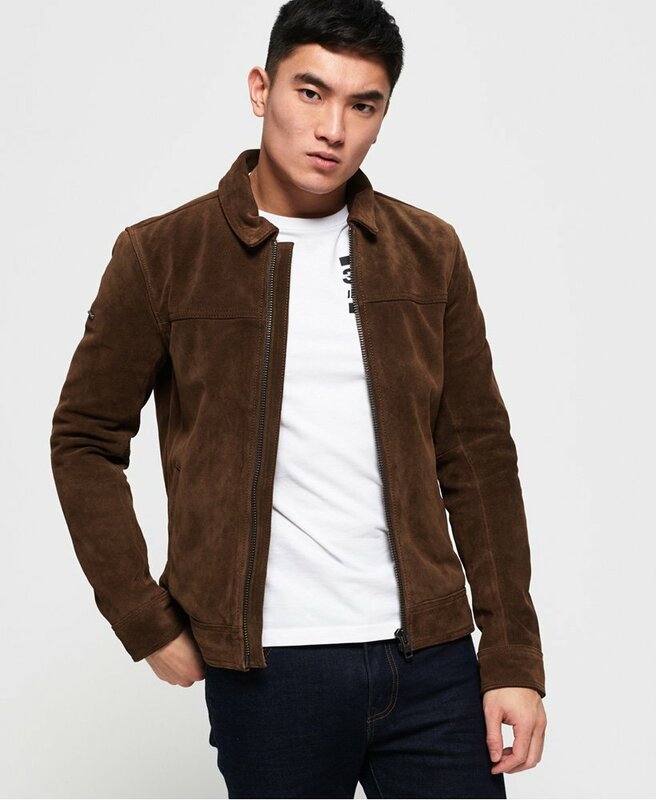 Finished with a subtle metal Superdry logo badge on one sleeve, this jacket has been crafted from top quality suede and is a must have investment piece for your wardrobe.